The Huawei Mate 10 Pro was one of the best phones release last year, but it’s been difficult to actually get your hands on one if you live in the US. Fret no more: pre-orders for the Mate 10 opened today and the units will begin shipping on February 18. Unfortunately, you still won’t be able to buy one directly from your carrier. 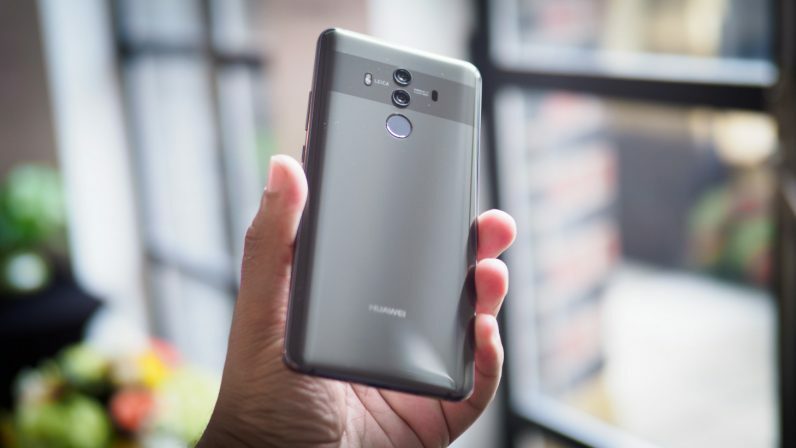 Until early this year, Huawei was poised to release the device on AT&T (and later, Verizon), which would’ve made it the company’s most prominent release stateside – carrier support is virtually necessary to make big sales in the US. But then AT&T pulled out at the last minute due to federal concern over espionage, leading to an impassioned speech by Huawei’s CEO. Verizon is reported to have pulled out for the same reason. I mean, not like the US government has ever tried to spy on people through American devices, right? Ignoring potential global espionage for a moment, Huawei’s snubbing is a shame. Our review is coming soon, but the Mate 10 Pro is an excellent phone with what I’d argue is the second best camera of the year, at least on Android. First place goes to the Pixel, but the Pro might actually be a better option if you care about manual control and additional effects. Given the lack of carrier support, Huawei is offering a few deals to help swallow the $800 price tag.. You can get a $150 gift card from your retailer if you pre-order, and Massdrop is selling the device for $700. which makes it more affordable than some of the current gamut of flagships. The device is available to pre-order from Amazon, Best Buy, Microsoft, Newegg, and B&H. Just keep in mind the phone only works on GSM networks.